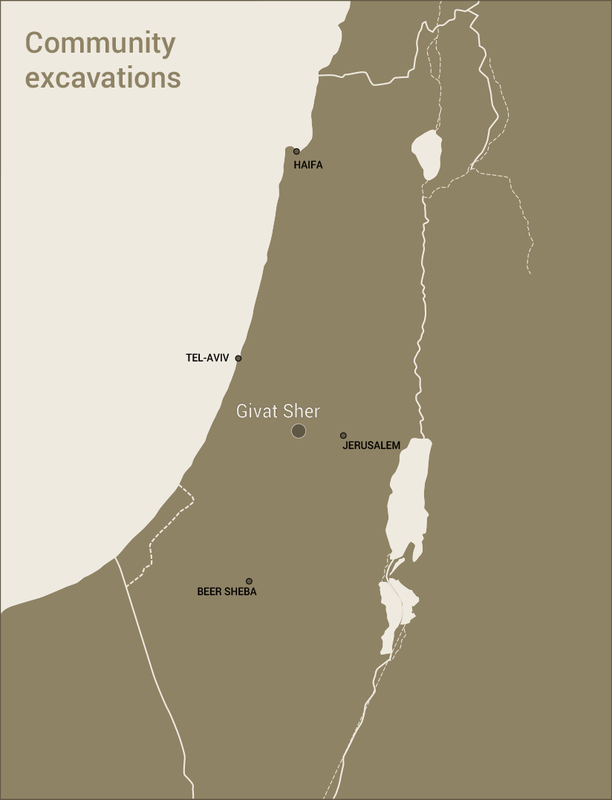 Horvat Sher (Umm es-Sur in Arabic) was first mentioned in the publication of the British Survey of Western Palestine, conducted at the close of the 19th century. 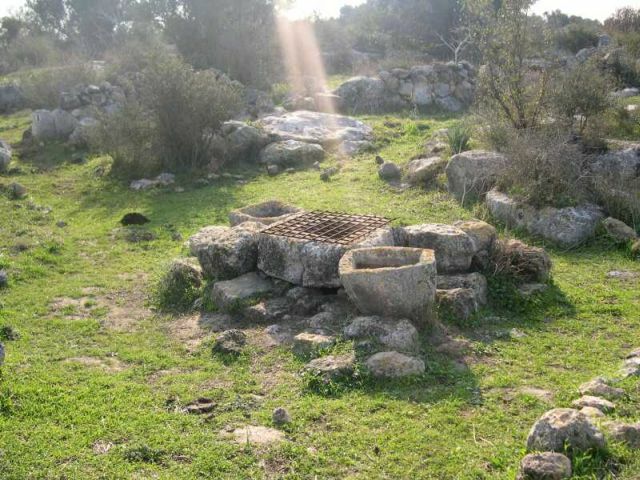 Since then it has been visited by several archaeological surveyors who reported various features—stone columns, walls and strange stone edifices of unknown function. At the lower, western reaches of the site, bordering on a small, gentle valley we have identified the main settlement area. This is a ruin approximately two to three acres in size, with lots of stone heaps, terrace walls and at least three water cisterns. Well-dressed stones can be seen in some of the terrace walls, indicating residential use. 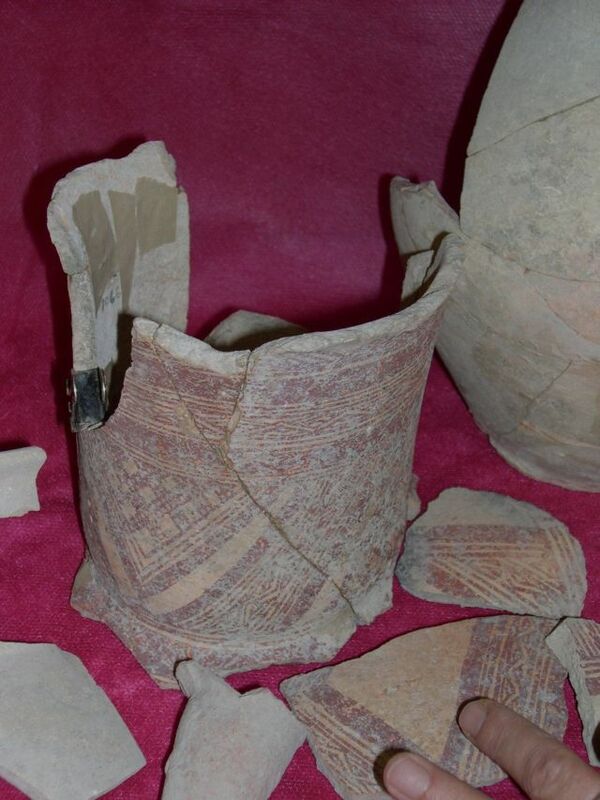 Sherds collected from the surface of the site teach us that the place was first settled during the Hellenistic (Hasmonean or Maccabean) period, during which time there existed a thriving village with a synagogue at nearby Umm el Umdan. 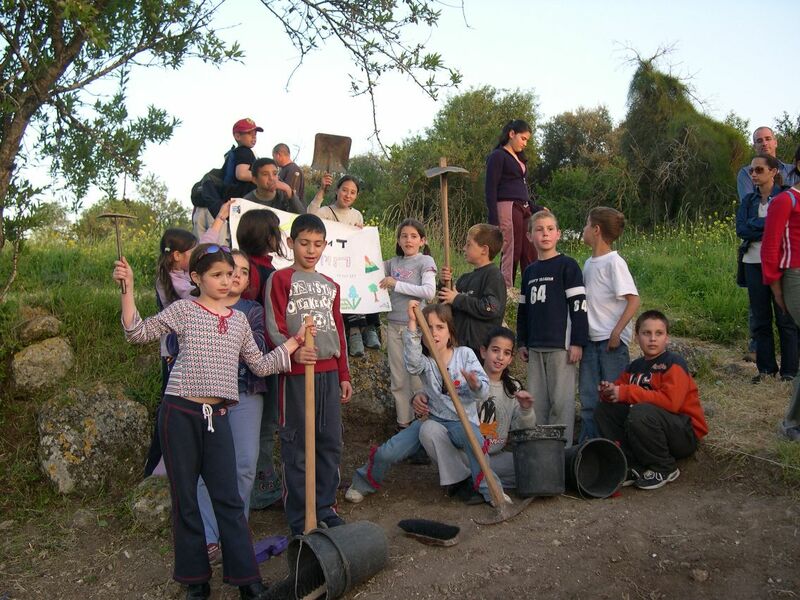 Umm el Umdan was excavated several years ago by the Israel Antiquities Authority and tentatively identified by the excavators as ancient Modiin of the Maccabees. The second period of occupation is the end of the Byzantine period (this is also the period during which the Talmud coalecsed). A stone lintel with two crosses carved into it must have belonged to a church, so there was clearly a Christian community here. One question is, were there other groups here too? The last period the site was settled is the medieval period, when it must have been a small farmstead, probably occupied by Moslem peasants. 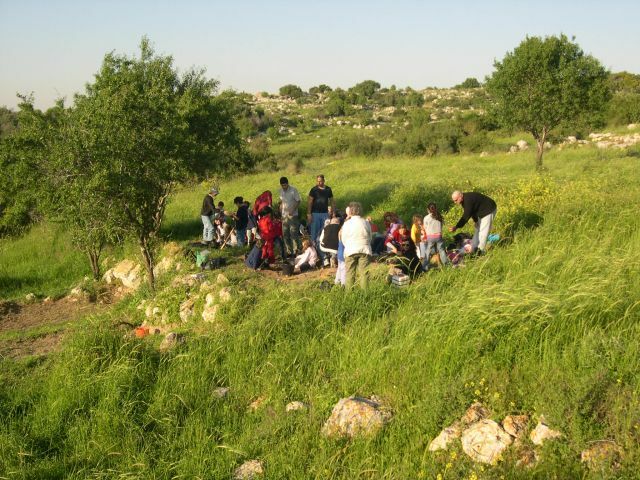 Today the area is a semi-wild olive grove, perhaps planted just prior to the 1948 war by peasants from the neighboring village of Salbit, who fled with the onset of war (the site of Salbit is now occupied by a religious kibbutz, Sha’alabim). Our research is still in its infancy. We now have our eye on the hill to the east where all the ruins reported by the explorers of old are found (this is part of our concession). 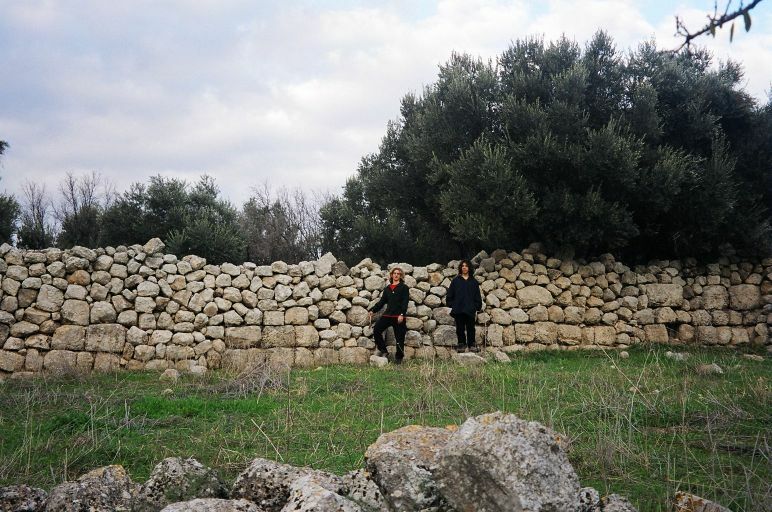 Here we can make out stone-fenced enclosures and a great many agricultural installations—wine and oil presses, cisterns, terrace walls and threshing floors. 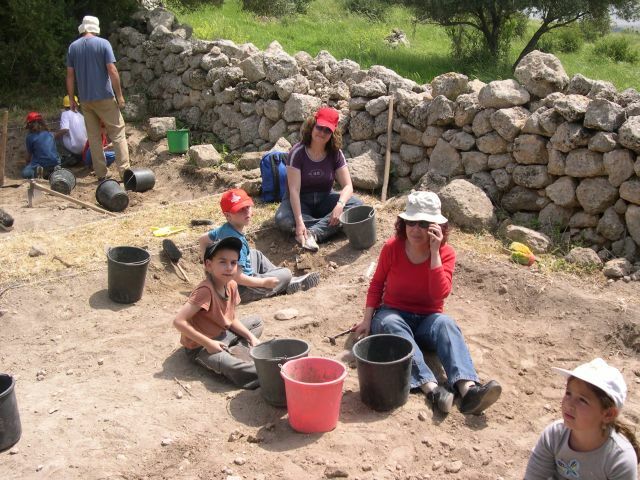 The many stone huts and caves may have been dwellings. The date of these features is unknown, but our work in the coming years should provide answers.